On Friday Marisa and I watched The Darjeeling Limited on DVD. It was okay. I think I belong to the uncool crowd, in that I think The Life Aquatic was Wes Anderson’s best film (rather than Rushmore). Despite a high quirk-quotient in Darjeeling, the film felt like Anderson was rounding back to themes already covered in The Royal Tenenbaums and even Bottle Rocket. But the one thing you can count on in a Wes Anderson film is a great soundtrack. Unlike Anderson’s first four films, Darjeeling wasn’t scored by Mark Mothersbaugh (who some might know of as the dude from Devo), but from the opening scene (Adrian Brody running to board the eponymous train) the music is a perfect fit. 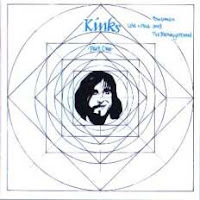 The song is ‘This Time Tomorrow’ by the Kinks, who I liked to think were one of my favourite bands… but I had never heard this song before. Two more songs, ‘Strangers’ and ‘Powerman’ from the same album, Lola Versus Powerman and the Moneygoround, Part One (1970), feature in the film. So, as with Warren Zevon and the Tragically Hip, prepare for a lot of Kinks references over the next few months. But on Lola Versus Powerman… : it’s a great listen! The three tracks featured in Darjeeling are great (‘This Time Tomorrow’ has shot to five stars on iTunes after 3 listens), but you can add ‘A Long Way From Home’ and ‘Get Back In Line’ to the list of ‘greats’. The big song on the album, ‘Lola’, is actually a sore thumb, not really jiving with the rest of the album, which can be broadly called “media industry satire.” Sometimes the satire usurps the song, like in ‘Moneygoround’, but that’s something I already knew about Ray Davies as a songwriter. I suspect when I get familiar with this album and the lyrics start to sink in, the bitterness that is in 90% of Davies’ songs will rise to an uncomfortable level. Just like in his semi-autobiography, X-Ray. But ultimately, this is a band that produced flawless rock songs like ‘You Really Got Me’ and ‘All Day and All of the Night’; flawless songs full-stop like ‘Days’; and ‘Waterloo Sunset’ and great satire like ‘Shangri-La’ and ‘Plastic Man’. 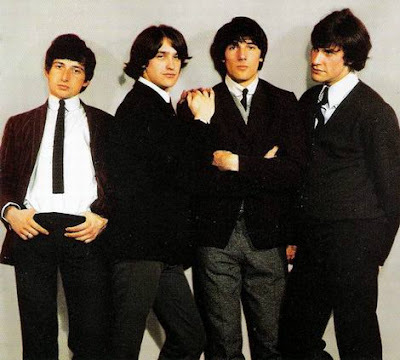 If the unheard gems on Lola Versus Powerman… are anything to go by, I should find another fifty favourite Kinks songs as I do the discography. "Rushmore" is a little masterpiece. I discovered the song "Making Time" by the Creation from watching that movie. I loved the Life Aquatic. I thought it was magic. I didn't understand why it got poo-pooed quite a bit.